The Diyarbakır Chief Public Prosecutor’s Office on Thursday submitted a request to the Justice Ministry for a red notice for former Cumhuriyet daily Editor-in-Chief Can Dündar, who fled Turkey for Germany last year. According to a Cumhuriyet daily report on Thursday, the Diyarbakır Chief Public Prosecutor’s Office sent a request to the General Directorate of International Law and Foreign Relations in the Justice Ministry after the 5th Penal Court of Peace in Diyarbakır issued an arrest warrant for Dündar because of a speech he made in Diyarbakır on April 24, 2016. He is accused of disseminating the propaganda of the outlawed Kurdistan Workers’ Party (PKK). Dündar had been arrested and jailed for 92 days along with colleague Erdem Gül from Cumhuriyet for publishing a story on Turkish intelligence trucks carrying hidden weapons bound for Syria in early 2014. They were arrested on Nov. 26, 2015, and released on Feb. 26, 2016 following a Constitutional Court decision. An İstanbul court acquitted Dündar and Gül of charges of attempting to overthrow the government while ordering that the charges of “knowingly and willfully helping a terrorist organization” be separated from the trial. 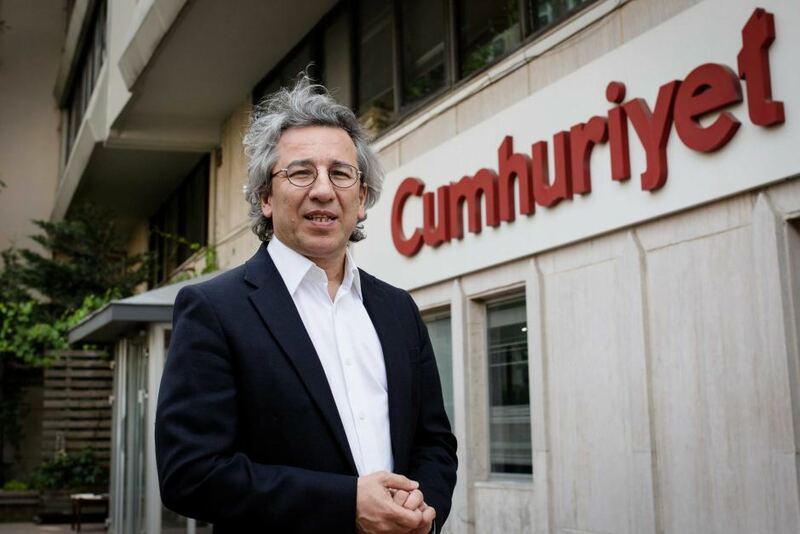 Shortly after his release and an armed attack against him, Dündar quit his position as editor-in-chief of Cumhuriyet and left Turkey as scores of other journalists under pressure have done. While Dündar left Turkey prior to a failed coup attempt on July 15, 2016 his wife was stopped by police at İstanbul Atatürk Airport and her passport was seized under the state of emergency that was declared days after the coup attempt. He has lived in Germany since June 2016.